I got an entire squash in by box and had no idea what to do with it, so I looked online and found this amazing recipe on Cookie + kate. 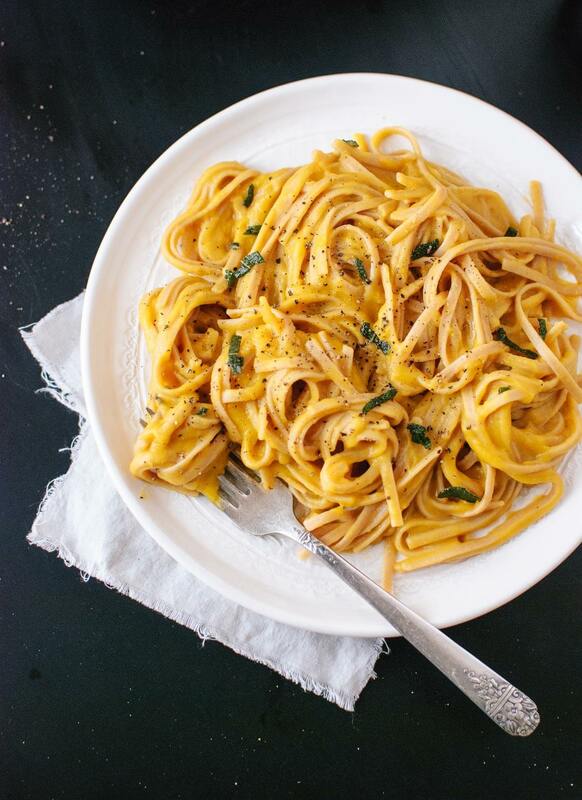 It’s a spiced and creamy (yet cream-less) butternut squash sauce tossed with whole grain linguine. I added in a few of my favorite seasonings to give it an extra kick. Top with fried sage for a healthy, comforting main dish. Serve with salad or roasted vegetables to further lighten up the meal. I got about 4 large servings.